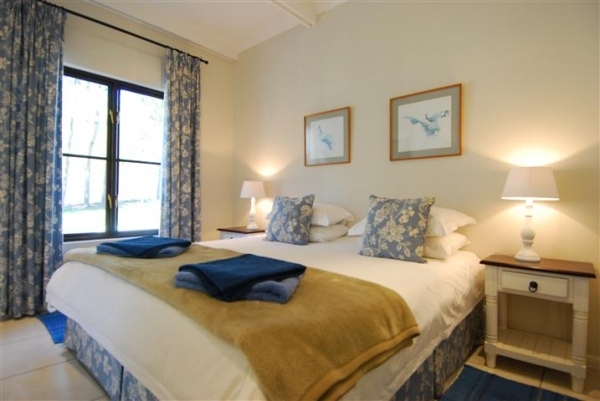 Within easy access of Hermanus and the beaches. 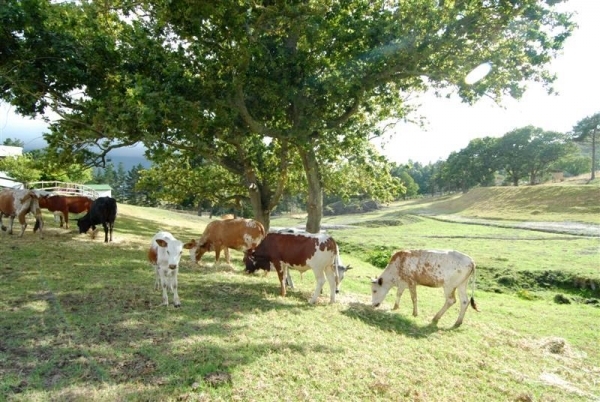 Activities in the Valley are wine routes, hiking, mountain biking, horse riding, quad biking, mountain walks in the Hemel-En-Aarde Valley, bird watching, sea cliffe walks, Whale watching, paint balling and fishing in our dams. For those who prefer it, a stroll in Hermanus Village, with its many fine restaurants, antique shops, galleries and boutiques. Brand new cottage with beautiful views up and down the valley. Fully equipped modern kitchen and bathrooms, spacious dining area, huge living room with fireplace and covered patio with built in braai. 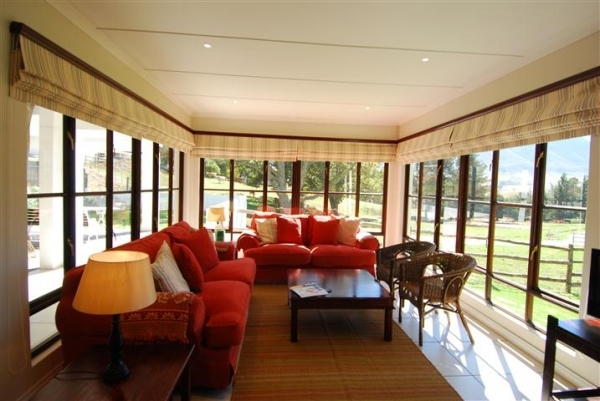 Spacious, comfortable lounge and dining area with fireplace opening onto a large covered patio with built in braai, over looking the dams and paddocks. Second bathroom has a large walk-in shower and is wheelchair friendly. Newly built cottage overlooking the dams and valley beyond. A spacious cottage with fully equipped modern kitchen and bathrooms, open plan living and dining area with fireplace, and wonderful deep covered patio and built in braai. A special feature is the old oak tree in the centre of the patio. Spacious open plan kitchen, dining and living area with fireplace opening onto covered patio and a built in braai. The cottage has beautiful views of the dams and mountains beyond. Fully equipped cosy cottages for two. Modern kitchen, open plan living and dining area with fireplace and covered patio with built in braai. En suite bathroom with bath and separate shower.